Indian consulting company 2S Consulting has chosen the Helsinki region for the location of its new European research and development center. The company is running a pilot project with the Helsinki University Central Hospital and plans to leverage the new R&D hub to target the European and US markets. 2S Consulting intends to hire at least 10 employees in Finland in its first year. 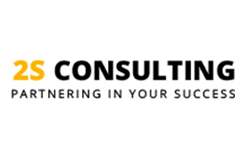 2S Consulting is a Mumbai-based company, whose leadership team’s background is in Deloitte US and UK. The company delivers solutions for high-impact performance management, analytics, and business intelligence across a variety of industries. Its analytics product HCare360, originally developed to address the operational challenges of healthcare organizations, has evolved into an enterprise-wide healthcare BI solution that integrates financial and strategic information with operational drivers. “HCare360 will transform our business model from consulting services and solutions to a provider of leading BI products and solutions. Following strong support from initial customers, we wanted to build the solution into a world-class leader in healthcare analytics. 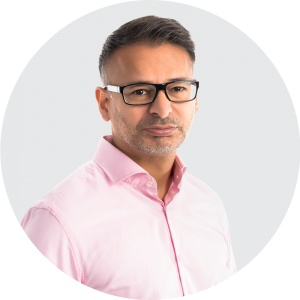 We already have our EU consulting headquarters in Switzerland but decided that we also needed a European research and development base for HCare360,” says Managing Partner Rajeev Surana from 2S Consulting. 2S Consulting was essentially looking for a supportive market with the right mix of capital and resources. Finland was introduced as an option to 2S Consulting by Indian business development consultancy PrEver, with whom Helsinki Business Hub partners to identify Indian companies that could potentially expand to the Helsinki area. Helsinki Business Hub invited 2S Consulting to visit Finland, and after two visits, the company was convinced that Helsinki was the right place for its new R&D hub. “The visits enabled us to really discover the Finnish innovation ecosystem. Helsinki Business Hub helped us connect with various players in the Finnish healthcare industry, and we were also able to visit the Upgraded Life Festival, which gave us a good overview of the industry. Helsinki Business Hub also organized meetings for us with Espoo Innovation garden, recruitment experts, as well as with Tekes for funding support,” Rajeev Surana says. Another important factor in the company’s decision to choose the Helsinki area was a piloting opportunity with the Helsinki University Central Hospital. A meeting with Health Capital Helsinki crystallized the collaboration possibilities. “HCare360 product strategy includes close collaboration with initial customers to ensure the right fit to the industry and region. Our pilot with the Helsinki University Central Hospital is currently in the launching stage. Working closely with a local healthcare provider is an important factor for us, allowing us to weave the voice of our customers into HCare360,” says Surana. Rajeev Surana expects 2S Consulting’s new Finnish R&D hub to be operational in the first quarter of 2017. The company is currently searching for an office and recruiting employees, with a plan to staff the new unit with a world-class R&D team based in Finland while providing back-end support from India. The new unit intends to hire at least 10 employees in its first year. “The healthcare analytics market is growing at a 26.5 % compound annual growth rate and is expected to reach 18.7 billion dollars by 2020. The North American market dominates this spend and Europe is the second largest market. These markets are our primary focus for HCare360, our target customers being mainly large and medium hospital chains, specialty clinics, and care providers,” Surana says.